We say a fond farewell to the sports car whose sheer breadth of ability won over even the pickiest sceptics. With the arrival of the eight generation 911, it seems apposite to take a moment to remember the car it replaces. In much the same way that 964 led to 993, and 996 to 997, the 991 was the car that broke the mould once again in Zuffenhausen, daring to rethink the sacred cow once more, to mess with the magic formula. In order to put the 991 into context, we need to go back still further. 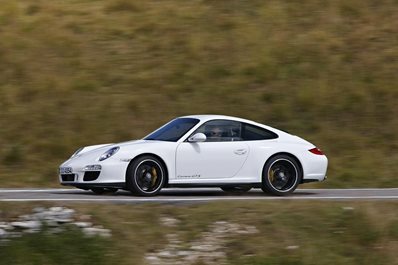 By 2012, when the eight-year-old 997 was put out to pasture, it had evolved into an extraordinarily polished car. Faithful to the original philosophy, it was a compact, involving, practical sports car you could drive every day in any environment. 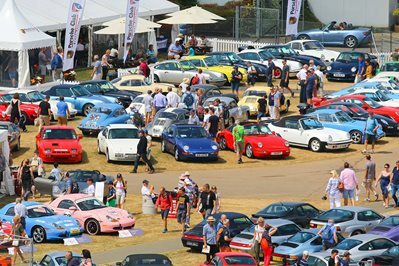 As for the high-performance models, even now they are regarded as some of Porsche’s true greats, the Turbo remaining one of the finest all-rounders on the market and the GT3 RS now so coveted that prices at auction comfortably exceed its current Rennsport equivalent. So when the 991 was unveiled at the 2011 Frankfurt International Motor Show, with worryingly big shoes to fill, it was wide open to the sort of change-averse criticism that is part and parcel of Porsche’s half-century-long journey with the 911. Controversy surrounded the new car’s substantially larger footprint; longer and wider – some 50mm wider at the front axle. This was, technically speaking, only the third fully new platform the 911 had ever received and it was greeted with inevitable scepticism. But although the larger 991 took up more of the road, it also broke new ground with its extensive use of aluminium in the monocoque, shedding around 40kg over the smaller 997. A wider track and fewer kilos? This was already promising. best electric steering system on the market. In the end, the 991 was roundly accepted as a triumphant step up: more refined and comfortable, yet even more agile and capable in spite of that. Except that wasn’t the end, was it? The greatest shock was still to come. In 2016, its hands tied by increasingly stringent emissions targets, Porsche adapted its normally aspirated flat-six to accept twin-turbocharging – not as a performance appendage in the style of the traditional Turbo, but as a sop to efficiency across the range. The purists were apoplectic, but in truth they had no reason to be. The introduction of turbocharging brought with it not only improved power and economy but also considerably more torque, far lower down the rev range. This created a car with greater breadth, ably tapped by the increasingly impressive (and popular) PDK transmission. A minority missed the clamour of peak power at 7400rpm, but faster, cleaner, quieter and more frugal made its case pretty well. In sending off the 991, we’ve looked to a run-out model, a car already gathering a cult following after near-universal admiration in the motoring media: the Carrera T. Launched at the start of 2018 as a means of maintaining a bit of sparkle for the 991 in its twilight years, the Carrera T took the unusual step of celebrating the basics, in terms of powertrain, gearbox and tech. Using the entry-level Carrera’s 365bhp and seven-speed manual transmission, the Carrera T was gently fettled as a driver’s car, with a limited slip diff, lower final drive ratio, lower ride height and a physically stubbier gearstick. For an extra £16K. Despite the fact that this was a tad cynical as 911s go – the original 911 T was simply a base car with fewer frills and less grunt – everybody loved the Carrera T. Because it champions the best bits of the 991 – astonishing lightweight chassis and fantastic drivetrain. It doesn’t need more power, more rubber, nor the expensive carbon ceramic brakes fitted to this press car. What the Carrera T provides is a basic car with a useful veneer of ‘special’. And for that it is utterly brilliant. The 992 was unveiled at the LA Auto Show as a significant evolution of this platform, over 40mm wider front and back and increasingly heavy on the inboard tech, with its digital instrumentation and 10.9-inch touchscreen dominating the cabin. There is no resisting progress, the shift towards increased digitisation, connectivity and ultimately autonomy, and the 992 will undoubtedly move the game on in every quarter. But the Carrera T is a fine swansong for the 991. Positively svelte by current standards, enviably simple if optioned correctly, and focused on the driver in a way that few cars feel today. There’s a lot to be said for buying the most honed and sorted car of a series too. After this final fling, illuminating a typically gloomy winter weekday in a welcome flurry of Racing Yellow, we will miss the 991 all the more.